Over the summer I got to finish the last of my graduate courses to complete my +30. I read a book called Grit: The Power of Passion and Perseverance. It was an easy but powerful read with practical applications of teachers. 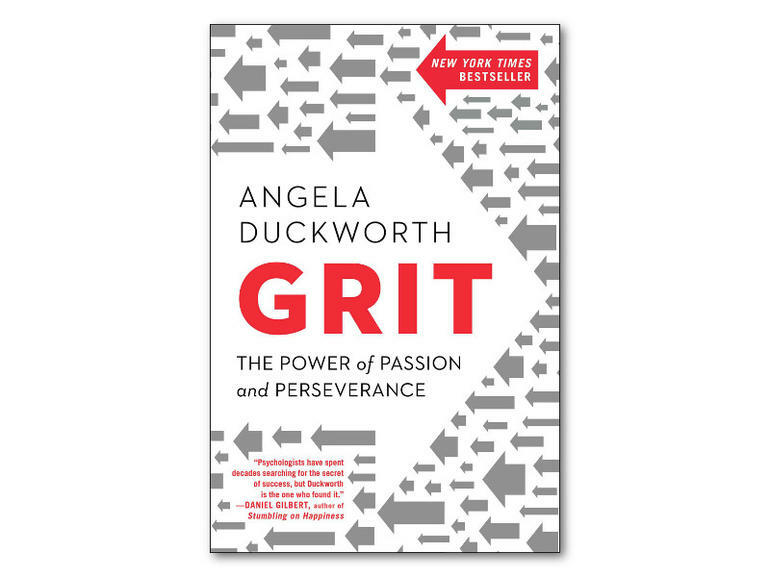 Angela Duckworth lays out the psychology behind grit and how humans develop this trait. She also relays interesting anecdotes of people employing grit and overcoming great obstacles in their lives. Her goal is to draw attention to a piece that is missing from education: teaching about and growing grit in our students. The term “grit” refers to the combination of one’s passion and ability to overcome obstacles. It’s about determination, focus, and seeing a task through to completion even after it becomes boring. It’s almost like the psychological effect of “flow” meeting “growth mindset.” Duckworth contends that grit is something that all people have but that also must be exercised and developed. Actively create a “culture of grit” in your classroom. The teacher sets the tone for how students respond to feedback, which is a huge part of developing grit. Students should feel safe in your classroom to make mistakes and to spend time working through problems. The teacher should take part in developing grit by sharing his or her own stories in overcoming obstacles. Do activities to help students work on persevering through a challenge. Try small activities such as a quick puzzle or riddle and work toward larger activities that require more concentration and grit. Students need to practice working through their frustration in order to hone their grit. Limit unnecessary praise. Instead, solely praise effort. Excessive praise sends the message that talent is inherent and some are just “naturally gifted.” Students need to learn that hard work is what leads to growth and achievement. Duckworth’s book was a quick but great read for all teachers. I can’t wait to apply what I learned to help my students become better at working through tough problems. All too often I hear from teachers that “students these days” don’t work hard enough or are too distracted by technology to handle the problems they’re trying to teach. The truth, however, is that this ability is something that has to be learned just like other parts of the curriculum. It’s critical that teachers recognize this and play a role in helping students become grittier individuals. Next Welcome to My Blog!